February is Age-Related Macular Degeneration/Low Vision Awareness Month! Age-related Macular degeneration is a leading cause of vision loss in people aged 50 and older. This condition affects more than 10 million Americans. To make the most of your vision, low vision aids such as strong magnifying reading glasses, stand & handheld magnifiers, loupes & small telescopes may be prescribed to help with day-to-day activities. Age-related Macular Degeneration (AMD) is defined as the loss of macular function from degenerative aging changes in the retina. The macula is a small oval-shaped pigmented area in the center of the retina, responsible for our central vision. There are two types of Macular Degeneration. The less severe or ‘dry‘ form & the more severe ‘wet‘ form. In most cases, people with wet Macular Degeneration receive injections to prevent the disease from escalating. Presently, there is no cure to restore vision for either wet or dry Macular Degeneration but low vision aids help to aid remaining vision. This image shows how macular degeneration affects central vision. Even though there is no cure for AMD, practicing healthy lifestyle habits can reduce your risk for it. Protecting your eyes from the sun. Make sure to always wear sunglasses or a hat vith a visor to protect your eyes from potentially harmful UV light. Maintain a healthy weight, exercise regularly & maintain healthy cholesterol and blood pressure levels. Include fish in your diet once or twice a week. Salmon, sardines, mackerel & tuna are high in Omega-3s which is essential for eye health. Incorporate green, leafy vegetables (Kale, Collard Greens, Spinach) in your diet. HOW DO YOU KNOW IF YOU HAVE MACULAR DEGENERATION? This is an Amsler Grid. 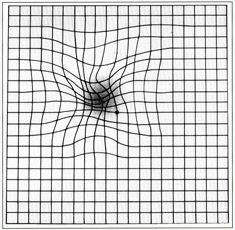 The Amsler grid is a tool that eye care professionals use to detect vision problems resulting from damage to the macula. The left image demonstrates how a person with normal vision would view the grid and the right image demonstrates how a person with macular degeneration would view the grid. If you are at risk for macular degeneration or if you view the grid as demonstrated in the right image, call your eye doctor to schedule an appointment. Using an Amsler Grid is quite easy and can be used at home to monitor your vision. Make sure you are testing your eyes under your normal room lighting that you would when you are reading. Hold the Amsler Grid approximately 14-16 inches away from your eyes. 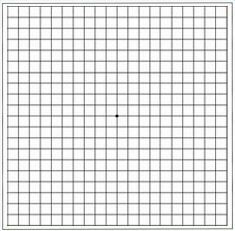 If you experience any irregularities while testing yourself with the Amsler Grid, mark any areas on the grid that you are not seeing properly and report them to your eye doctor immediately. Be sure to follow your eye doctor’s instructions on when to use the Amsler Grid or whenever you notice a change in your eyesight. Improve the lighting in your home or office. Glare is often a problem for people with low vision, so experiment to see which lighting works best for you. Use high contrast for reading and writing. 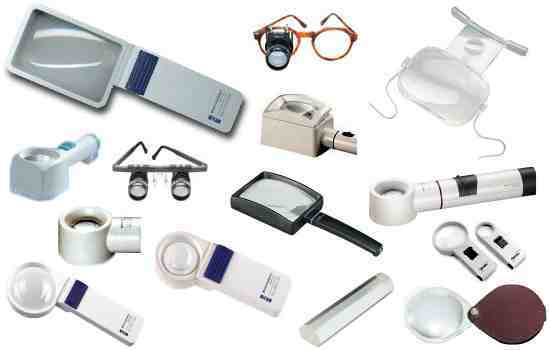 Have a low vision evaluation to assess for assistive visual aids. Schedule an appointment with our Low Vision Specialist today! 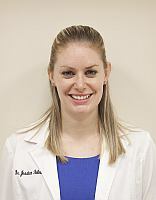 Dr. Jessica Fulmer, O.D., F.A.A.O., F.C.O.V.D.